Heat oven to 400°F. In large bowl, mix 1 cup powdered sugar, the butter and vanilla. Stir in flour, nuts and salt until dough holds together. Bake 10 to 12 minutes or until set but not brown. Roll in additional powdered sugar while warm. Cool completely on wire rack, about 30 minutes. Roll in powdered sugar again. Mexican Surprise Wedding Cakes: Make cookies as directed--except shape each ball of dough around 1 Hershey®’s Kisses® milk chocolate filled with caramel. You can freeze these cookies up to three months. 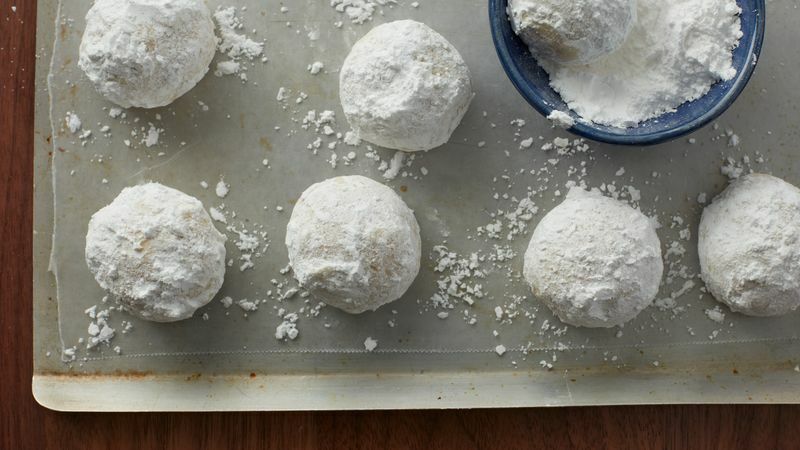 You may want to reroll them in a little extra powdered sugar.